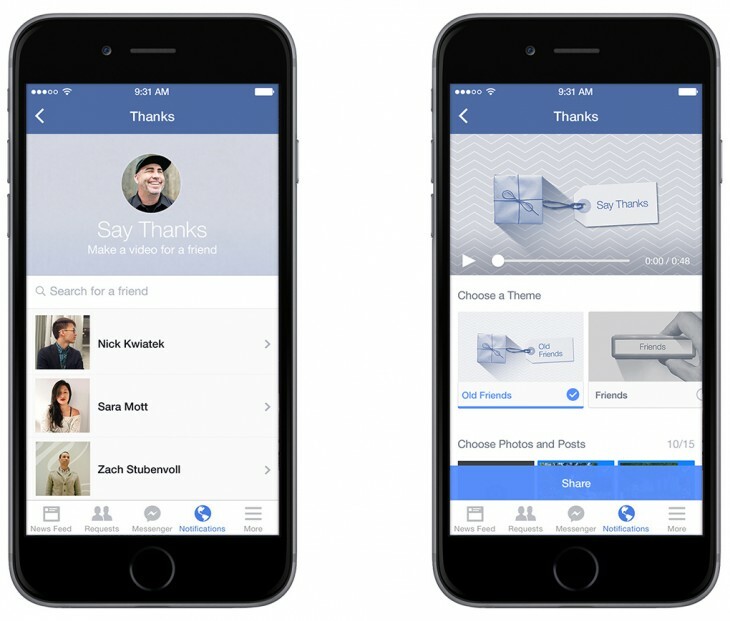 Facebook today announced Say Thanks, an experimental service for sending personalized video cards to your friends. Say Thanks lets you choose a theme, photos and posts to generate the video. Once you’re happy with it, you can share it with a message on your and your friend’s timelines.